It’s been two semesters since moving our Magazine, Substance, over to Medium, and one full semester since moving the entire newsroom over to Medium. Students are working on a complete analysis of our stats along with some pretty charts, but I’m going to break it down in simple terms. HOLY CRAP. Substance Magazine stated publishing in 2007. It was created by my first group of magazine students with the intent of producing a glossy and visually beautiful college magazine with well written stories of Substance. The magazine came out once per semester and 5,000 copies were distributed across campus. Unlike the campus newspaper, the magazine was picked up by students but once gone, that was it– until the next semester’s issue. The students also published all stories online to a site they set up for the magazine, but reader views for the stories all fell under 200. Killing the magazine was the most difficult decision because unlike the newspaper staff, the class of students who produced actually enjoyed producing it. But the editors felt we could be reaching a much wider audience, and have lasting power, on Medium. They were right. 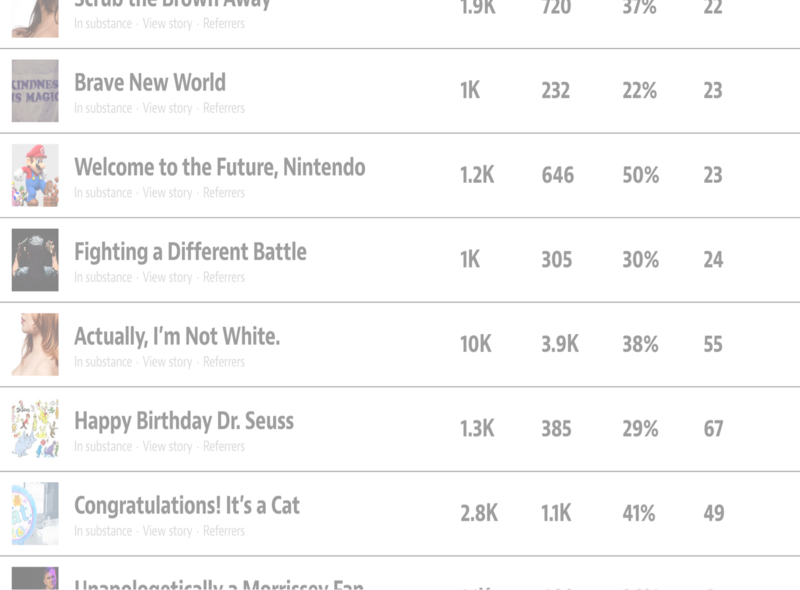 The publication launched on Medium and the readership analytics were impressive. We watched every story hit over 1k, with others hitting over 10 and 12k. This was in the first few days. The stats continued to jump daily. The students were writing stories that resonated with not just our college students, but all college students. The story, “Actually I’m not White” is about a girl who has a fair complexion but is Latina. She talks about prejudice within her own culture, and follows her story with a second one, “Scrub the Brown Away” about dark skin Latinas and the judgement thrown at them within the Hispanic community. While the stats for all stories were impressive, other news organizations picking up our stories gave these stories wings. 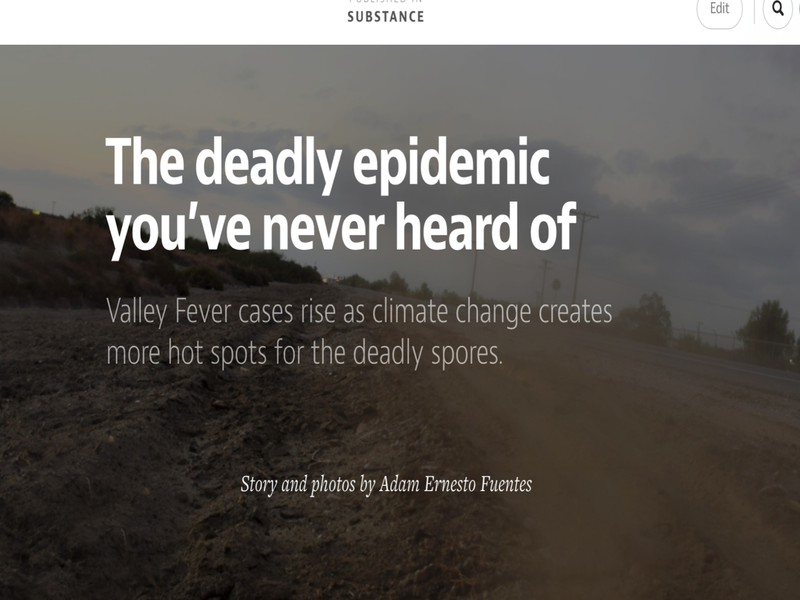 A story about Valley Fever, a deadly disease that a person can only get if living in California, New Mexico, Arizona and Nevada, had 11,400 views in 36 hours but when it was picked up by the Daily Dot, it had 25,000 shares in 24 hours. We noticed that when the Daily Dot picked it up, they changed the photo. While we all felt our writer’s photo, taken by him, better represented the story, The Daily Dot’s may have been better for getting readers to click on the story. Aside from the crazy readership, the opportunities this is presenting for students is making our move even more exciting. Albert Serna wrote the story “Gay, Latino, Machismo” which brought in over 14,000 views in 24 hours and continues to jump, but the opportunities that have come Albert’s way are the most impressive. Albert is writing for Latino Voices on Huffington Post, producing a video project, and writing his own series. He is asked to be a part of more projects than he has time for. He is making a name for himself before he even leaves community college. Photographer Pablo Unzueta’s story about gun violence, his story about the Ferguson protests, and his ongoing chronicling of homelessness in features like Under the Bridge helped him gain national recognition from professional news organizations. These same photos have been featured on Time magazine and LA Times, and Huffington Post. Battle of the Bush, a story that tells the history of pubic hair removal, had a slow start but when medium staff recommended it, it jumped to over 10k within 24 hours. This made us really look at the power of medium staff recommendations. 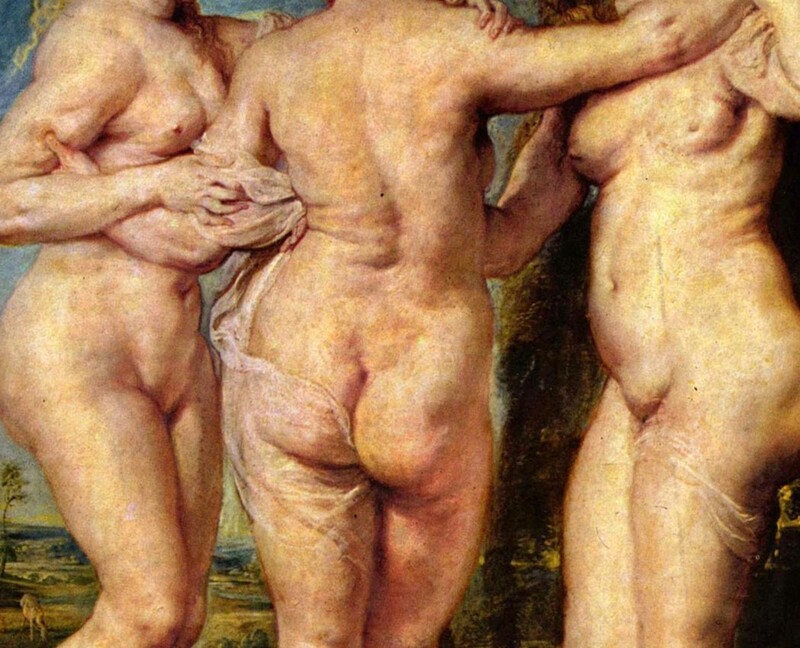 When medium staff would click that beautiful little heart, the stories exploded. However, we didn’t want to rely on medium staff referrals so we really made a concerted effort to promote each story. Will write about this in more detail soon. The move to medium has not only made us look closely at our analytics, but it is making us see the power of this kind of exposure. To watch students be given the kinds of opportunities coming their way is success that can’t be measured with metrics. As the spring semester comes to an end and we enter finals week, we are missing the usual feeling we usually get when the semester ends.. In the old days of publishing the student print newspaper and magazine (the old days meaning two semesters ago) we would celebrate that last production night with some cheap pizza, a few fights, a weary drive home and a lot of sleep. Every semester was like giving birth — a painful, long and hard labor—but all soon forgotten after seeing the beautiful result of that labor—the publications hot off the press. But this semester was different. There was no grumbling, no pizza, no production night, no end, because we are now living in the real world where media doesn’t ever go down. The editors will continue to work throughout the summer break—all 10 weeks of it—and have planned stories for each week. You might be wondering who will write these stories? Now here comes the amazing part. No one wants to stop. In fact, the students have not only pitched stories that they are working on during the break, but have also began putting their stories in the submissions folder. We actually have a back log of stories to publish. And they are doing this because for the experience. Not for a grade; not for money; but for the shear joy of the experience. Or maybe it’s for the fame. As funny as that sounds, there is nothing more exciting than having people across the world read their stories. Moving the newsroom over to Medium has changed our environment. We’re happy to produce, to create, and to innovate. Story ideas have moved beyond the campus and are gaining a readership that’s never been seen in any of our previous publications. 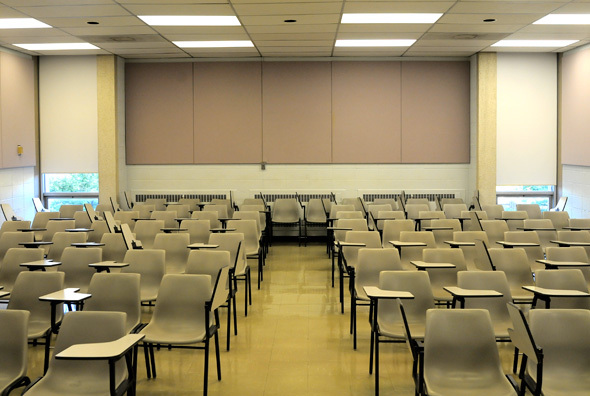 Covering the Campus First: Is there anybody out there? We are in the third week of moving our newsroom over to Medium. The students are on a high but there have been a few obstacles. The great thing about obstacles is that it opens doorways to solutions. When we entered into this partnership with Medium, we used Matter as the ultimate goal for what we hoped to achieve. There are some great benefits to using this model – it has made my students not only elevate their writing skills, but increase the depth of their stories. The downside is that it has caused them to hold back their stories until they feel they have achieved the highest level possible. To them, this means that the stories must reach the journalistic level of the stories on that publication. And then reality set in. They are not the writers at Matter. They are young student journalists still learning to write well. By now it’s no secret that Andy Baio, an internet entrepreneur who also writes for The Message, is my son. I asked him if he might meet with my students via Skype and share his decade plus experience of writing on the Web. This one meeting changed everything. “At least 90 percent of what’s out there on the Web is crap. Odds are, some of your stuff will be crap. But at least you’re trying; you’re writing; creating; publishing. That’s a very brave thing. And you will get better, ” Andy said. After that meeting, the students decided that it was time to let it go (cue soundtrack from Frozen). They made the decision to put out five stories, one per day, five a week, starting with week four. Even if the stories are not Pulitzer Prize-worthy, they are going to be published. And this meant coming to terms with the fact that they may not be writing on the level of the writers at Matter, or The Message, at least for now. But they certainly can strive to be that good…today, tomorrow, next year. But there’s something else I’m trying to come to terms with: The importance of focusing on campus news. (I expect that any adviser reading this just let out a gasp). I took a poll of every student in every class I teach. This amounts to 176 students. I started with the question, “Do you care about campus news?” In each class, there were no more than three students who responded, “Yes.” I took it a step further. I asked those students who responded “Yes” what it was they cared about campus news. Each responded that they belonged to a community on campus: Associated Student Government, Sign Language Club, Honors Society, and so on. The rest said they had no interest in reading campus news. So I posed the question, “What if a friend messaged you that a water main broke on campus and half the campus is flooded. What is the first step you would take to find out if your car or transportation is affected? Nearly all responded, “We’d check Twitter.” Not one student responded that they would go to our student media website. The few that did not respond Twitter said they would check the college website. This brought up a discussion about campus news in general. We decided to poll non-journalism students on campus about our website and print newspaper. We asked if they read the print newspaper, and as in past surveys, very few said they read it. We also asked if they read the website and very few knew it existed. The next question was to ask what would make them want to go to the site to get their campus news. Nearly all responded that they have no interest in campus news. Is it possible that community college students don’t care about campus-specific news or is that all college students don’t care about campus news? Community college students are attending college to move on…to a four-year university or to a career. They come and they go. If they have a vested interest in the college like serving as a student government representative or a student media staffer, they hang out on campus and care about campus news. But the majority of students are in a hurry to get to their jobs, their families, or home to study or sleep. The idea of not covering campus news first goes against everything I’ve been told by my academic peers. “Your students must cover the campus first,” they say. While I respect these advisers, maybe it’s time to question this theory. Why must students always cover campus news first? We have a new marketing director on campus and a student of mine works as her student assistant. His job is to put out campus news and post on the campus’ social media platforms. All of those breaking stories such as road closures and parking thefts and high heat warnings are posted on the college website. Are we competing with the marketing department and Twitter? I have to ask this question when 95 percent of students are turning to Twitter for breaking campus news and the rest go to the college website. What purpose do we serve if no one is going to our site for campus-related news? And please don’t think I’m advocating the marketing department as a replacement for campus news. I’m simply saying that those breaking news stories and campus-related stories are not bringing in readers. And we must look at readership. The most views we ever garnered on our student news site were for a storywritten about Miss Mexico, a former Mt. SAC student. Harvey Levin and his TMZ staffers made fun of her for being a community college student. 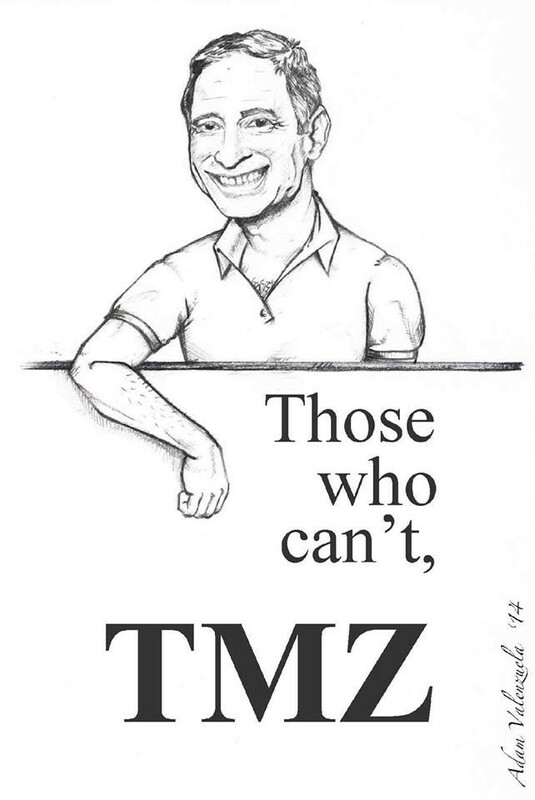 Our student cartoonist Adam Valenzuela tweeted a cartoon to Mr. Levin that said, “Those who can’t, TMZ.” This story brought in over 800 hits. A TMZ story brought us the most hits we’ve ever had on our student media news site. 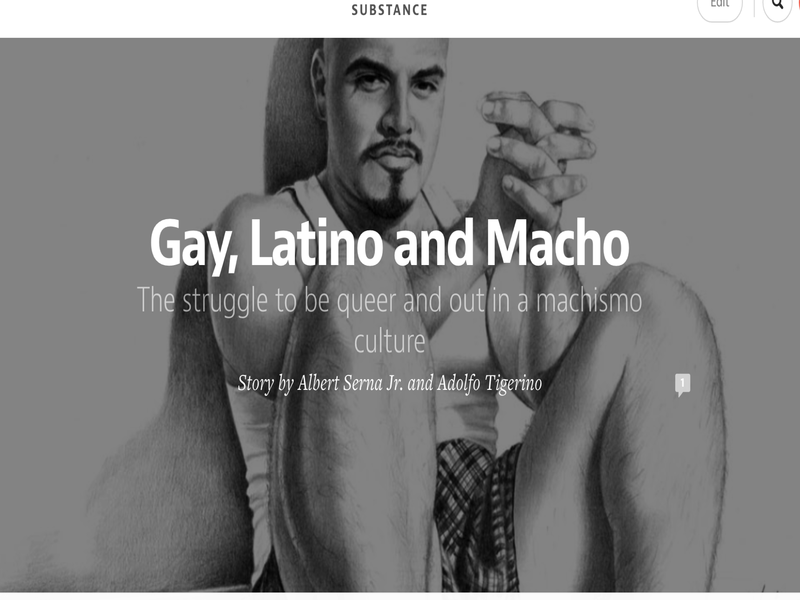 In just 48 hours, our featured story on Substance about growing up gay in a Latino Machismo culture had 14,000 views. The three stories behind it have between 3,000 and 4,000 views. This means that while we might not be writing at the level of Matter, our stories matter. Some may argue that perhaps the problem lies with the student journalists: that we are not doing a good job of reporting if no one is reading the print newspaper or the student news website. I would strongly disagree. I won’t brag about all the writing awards we’ve received over the years because there are plenty of fine journalists out there writing for print who aren’t grabbing readers either. I will say that as a college newspaper, we have uncovered all kinds of wrongdoing and controversy during my tenure as adviser. Take the story we ran last year about sexual harassment of female athletes in our athletics department. Several coaches were under investigation for sexual harassment of the girl’s soccer team. One coach was fired and one was forced to resign. Campus news at its best, right? That story won us several First Place writing awards from a couple of top journalism organizations but brought in a small number of hits on our website and the print edition sat sadly on the news racks. It’s not like the story was buried in the newspaper. The front cover photo was a powerful one with the headline: Coaches Accused of Sexual Harassment. We polled students on campus about that issue. The majority said they didn’t pick it up because it did not concern them – they were not in athletics. What if we had published the story on Medium and covered in depth the issues facing women athletes and the harassment that occurs from male athletes and coaches. Would we have had better luck with readership? My feeling is yes. There is no question that students must first learn to write basic news before they can take on the big stories. But must they publish in a print newspaper and must they stick to campus news first? Teaching students to publish in print newspapers is like law students participating in a mock trial. It’s great practice, but it sure isn’t the real world of today. So for now, we will continue to publish campus news on our website,mountiewire.com. I’ve come to view it as mock trial. 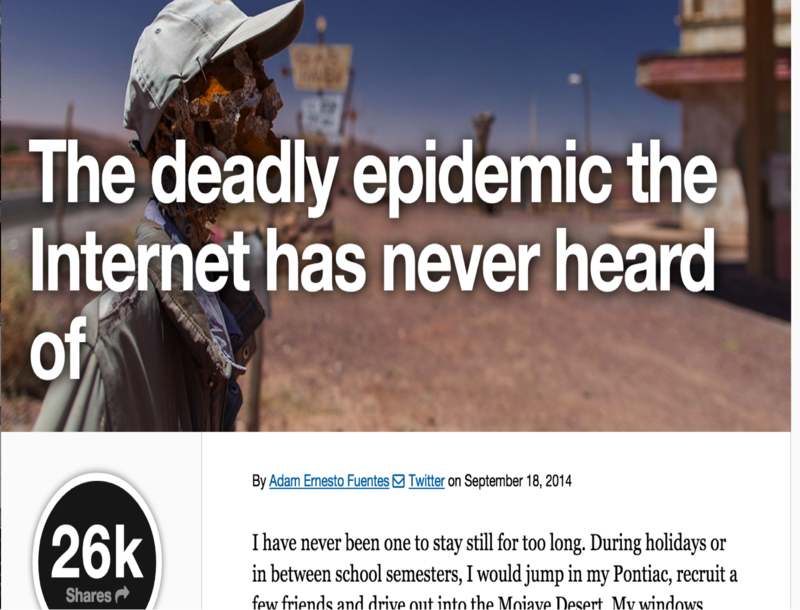 My beginning newswriting students can learn what works and does not work for the web. They can post campus-related stories in Inverted Pyramid style and basic feature stories. They can play around with the things that will hopefully bring some readers to our site. They can produce multimedia and visuals, and they can learn how to write catchy headlines. They will learn how to promote their stories using social media like Twitter. And they will cover campus news. After all, it’s great practice. But in the end, my feeling is that journalism students who stick to just covering campus news may find that they are writing to a non-existent audience. A story about the cost of war to this generation going out to a global audience may not be campus specific, but it might make college students question things, not only from our campus but also from a campus in the Ukraine. And isn’t that what journalism is really about? Engaging people in conversation, uncovering the truth, informing, entertaining, and holding people accountable? As we move forward, the student staff will attempt to write stories on Substance that rise above the local and mundane, but some won’t. Some will be crap. And that’s okay. Hopefully at least 10 percent will be fabulous. Posted byCCJA September 30, 2014 October 2, 2015 Posted inUncategorizedLeave a comment on Covering the Campus First: Is there anybody out there? Our journalism program has won awards spanning over many years for its print publications, including General Excellence, Best College Magazine, and first place design, photography and writing awards from organizations like the JACC, CCMA, CMA, ACP, and the Western Publishing Association. And we’re very proud of those awards, but awards do not produce the student media; students do. As the adviser of these publications, I’ve witnessed a shift in my students’ interest that was clearly seen in their lack of motivation. While they used to like putting out the print newspaper, they began to loathe it and the long hours and late production nights it took to produce it. You know there’s a problem when the editor-in-chief yells, “Go to hell and take the print newspaper with you” and half the room walks out. The worst part was that they were defeated. They began to realize they were putting out the newspaper for the administration and faculty, and not for the student population. It’s hard to spend endless hours on a publication, only to walk by a campus news kiosk to see the newspaper’s crusty edges from hours of sitting in a pile under the sun, or on a windy day blowing all over the campus. And on those days when they set up tables to hand out the paper, they found themselves begging people to take it. They may have just as well been handing out free VHS tapes. Something had to change. I’m no dummy. Each semester I take a poll of my student’s media consumption. When asked if they read a print newspaper, there would always be a few hands slowly raised. As the years passed, the raised hands decreased. I always ask, “ Where do you get your news?” “Online!” they would all respond. But last year, the responses changed. “Where do you get your news?” “Twitter! “Instagram!” and some various apps I’ve never heard of. And it’s not just the newspaper. I don’t know one student who has moved into an apartment and ordered cable. “Why should I get cable? they say. “I have Netflix!” It’s a different world out there and the sooner advisers realize it, the sooner our students will be able to one day find employment. So what exactly have we done that’s so different? We stopped publishing all of our print publications and have moved our newsroom over to Medium.We will be writing stories that go beyond the Inverted Pyramid. We will dig deep and write well, and hopefully make you laugh and sometimes cry. We will put up stories weekly that are well researched and that cover topics important to college students. We have kept our online newspaper,mountiewire.com, for breaking campus news stories, live sports coverage, and general campus updates. The site is being redesigned, but we have big plans for mountiewire that do not include a WordPress site. A big concern when moving over to Medium was the loss of advertising revenue. This is one of the biggest challenges of all college online student media. Advisers and students are terrified of losing advertising dollars. How will they afford those bonding trips to student media conferences? Who will pay for the end-of-the year banquet? And most importantly, who will pay for pizza on production nights? We have some answers and we hope to show you that there is revenue to be made outside of a print newspaper that students aren’t reading anyway. From now on, we only move forward and if it isn’t new and innovative, we are not considering it. Why Medium? Because it is an awesome platform and visually appealing. And the people behind it gave us a chance. When they heard about our idea to move the newsroom over to Medium, they were excited. There has not been a college that has ever attempted something like this. They have taken the time to meet with us, offer their support, and give input on everything from advertising and sponsorship, to what works and doesn’t work, and they even provided us our own tech support person. This is the perfect merge of tech and college journalism. How exciting is that? So why is this different than any other collection on Medium? Medium has two publications under their umbrella: Matter and Re-form. They also have numerous collections that are just wonderful, like the one my son Andy Baiocontributes to: The Message. But unlike the other collections on Medium, they allowed us to have a one word title like their other two publications. And that makes us feel pretty darn lucky and special. We’re going about things very different than we have in the past and we will be sharing all of this with you, the reader. 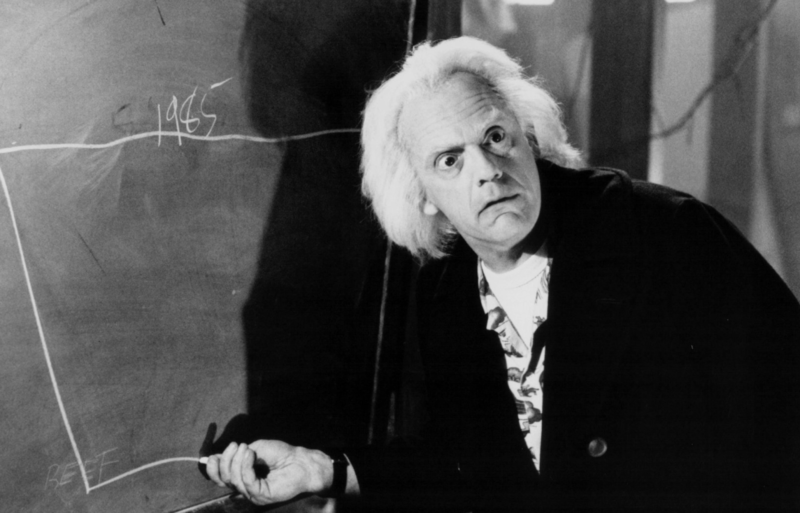 The students will be documenting this experiment here, and I will document it from an adviser’s standpointhere. There will be a lot of challenges to face and hurdles to jump over. And to all the student media advisers who stay in the newsroom until 2 a.m. while their students fix that last mistake or add that last photo caption, I feel your pain. But since this new endeavor, I’ve been pain free. It’s like someone came in the newsroom and pumped a bunch of oxygen through the vents. I can feel it. The students can feel it. It can be seen in their smiles and new found enthusiasm. They actually like each other again and aren’t arguing about what someone did or didn’t do. They are filled with story ideas that they want to write and visuals they want to create. And they don’t want to leave the newsroom. And that, my friends, is a first. 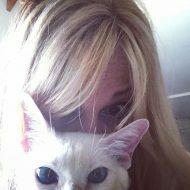 Toni Albertson, Blog at WordPress.com.